With the winter chill in full-effect, there’s nothing more cozy than a warm fire. Decorating the mantle can be a great way to elevate the fireplace as a focal element in a space. The holiday decorations have been put away and now is a great time to spruce up decor. If you have a modern decorating style in your home, you’ll want the decor to reflect the clean, bold aesthetic. 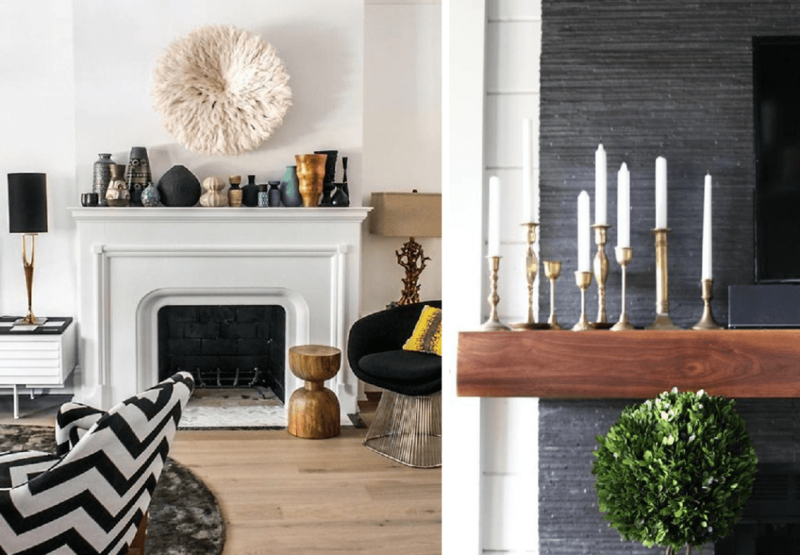 Read on to see our round-up of fresh and inspiring ideas for the 3 most beautiful ways to decorate a modern fireplace mantel. It doesn’t get much bolder than an oversized, statement piece. Mirrors not only add brightness and light to a space, they can fit in with modern decor with bold style. The minimal, high-contrast rooms above embrace modern design well. The large mirrors above their fireplace add drama and depth. We love the brass details on the left, and the character and distressing of the mirror on the right. NEED TIPS ON DECORATING YOUR FIREPLACE? Schedule a free interior design consultation with one of Decorilla’s top interior designers today! For those truly into more layered and decorated looks, creating a vignette on the mantel is definitely doable in a modern space. Start with abstract art, and add in pieces of varying heights and materials to create a beautiful, stylish look. 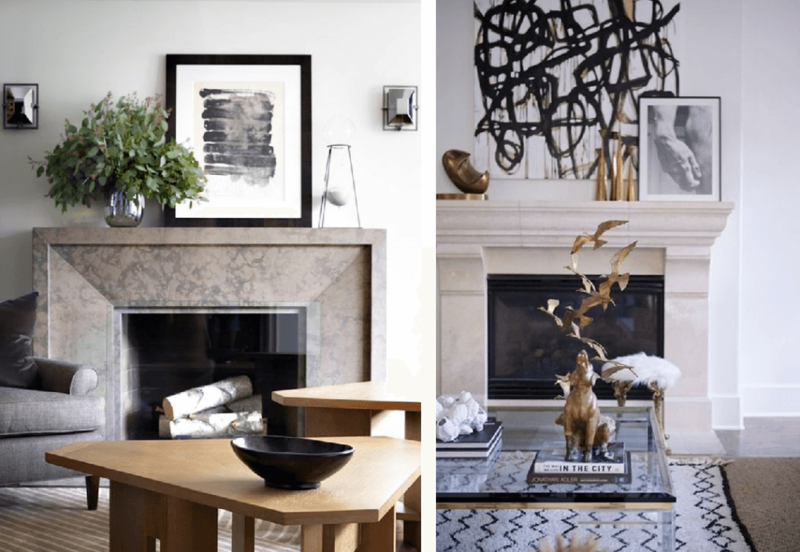 The effortlessly chic looks above add in greenery, mixed metals, and modern sculpture. This bright space created by Decorilla designer Eleni P. is chock full of drama. 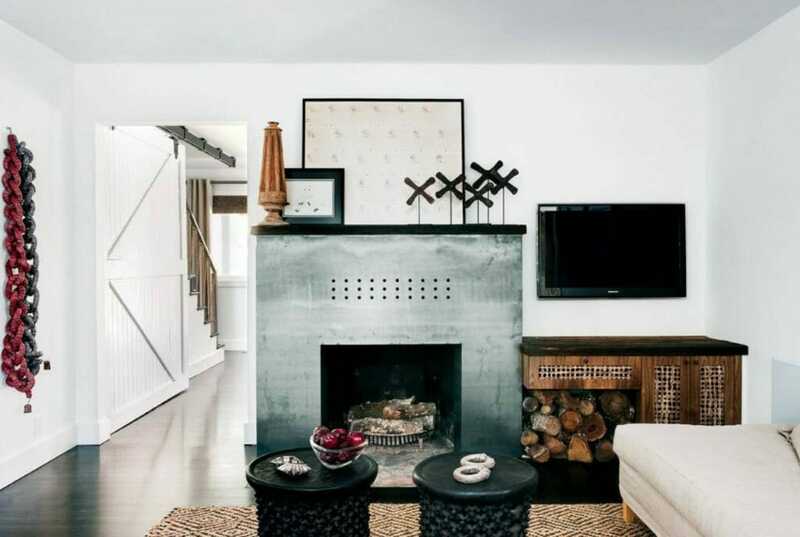 It’s a great example of using a fireplace as the focal point in a room. 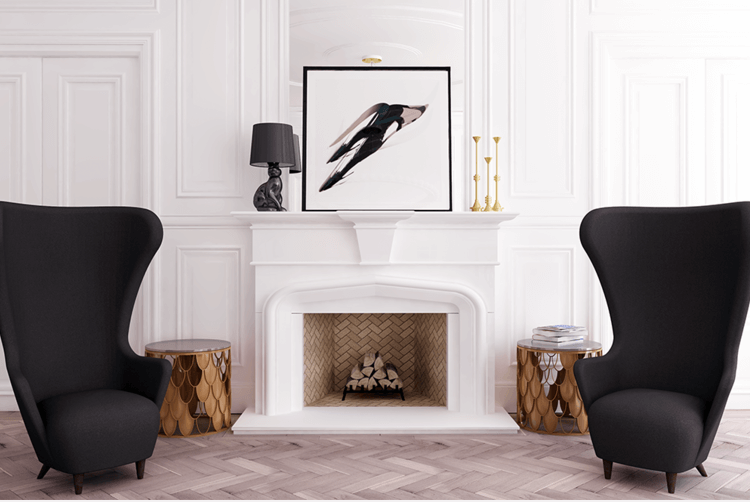 Her mantle decor vignette is balanced, interesting, and sleek. Check out these unique mantels for a range of design aesthetics. One very creative way of decorating your modern mantel is showing off a collection of items that you love. In the examples above, we love the collection of brass candlesticks as well as the collected global vases. You could also display a layered art gallery, or even a collection of plants to create a bold statement. 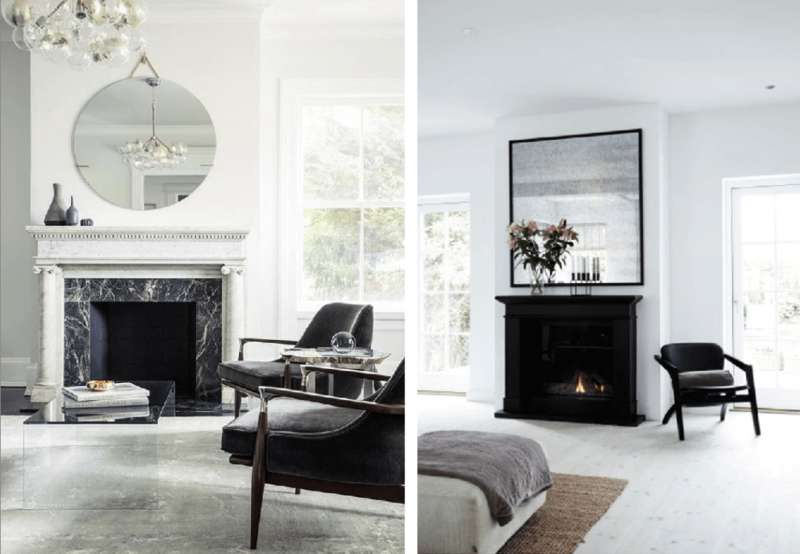 Modern decor is characterized by clean lines, geometric For even more modern fireplace mantel decor ideas, Pinterest has almost unlimited inspiration. 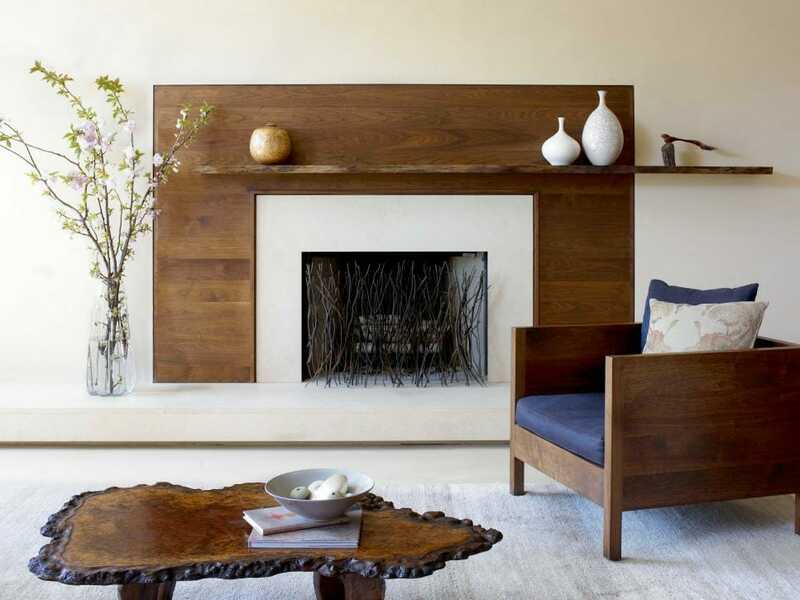 If you don’t have a modern home design, you can still make a statement in your mantel decor. If you’re designing a mantel from scratch, you can shop online at places like Wayfair for ideas too. Still not sure exactly how to rejuvenate your home’s interior this New Year? 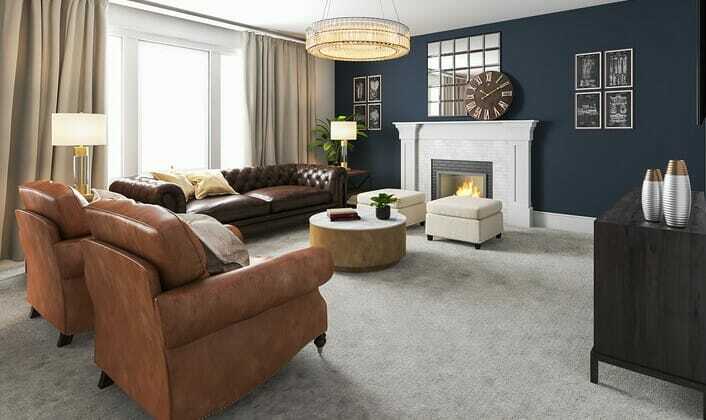 Schedule a free interior design consultation with one of Decorilla’s top interior designers today to help create the perfect modern fireplace mantel in a style that reflects your home.